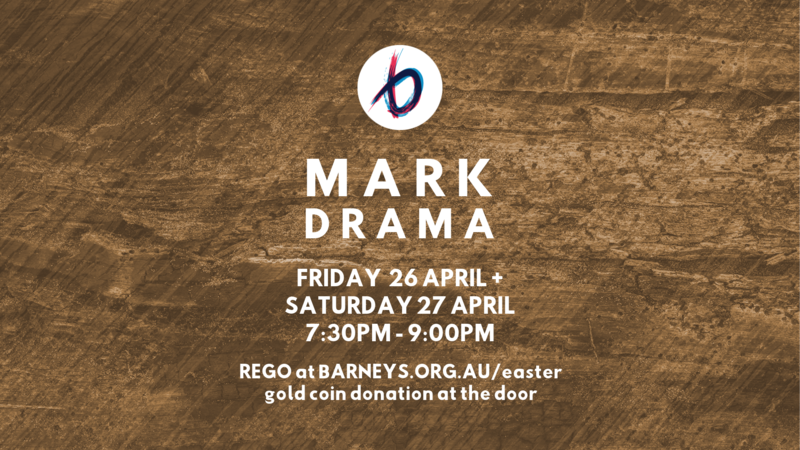 The Mark drama is the gospel of Mark presented in a 90min theatre-in-the-round style performance. It’s a great opportunity to see and hear more about who Jesus is. Please register and bring your tickets with you on the night. Gold coin donation at the door appreciated!